Circuits West | Why Us? | Circuits West Inc.
1-Circuits West is a quick turn prototype board company that is in a new 20,000 sq-ft. facility in Longmont, Colorado. 2-We can build just about anything you send our way. 3-Any R.F.Q.s sent to us will be answered within ninety minutes’ or less. 4-Any P.O.received by 10:00a.m. Colorado time will count as day one. This means on a one day turn if your order is here By 10:00a.m. it we’ll ship the next business day. 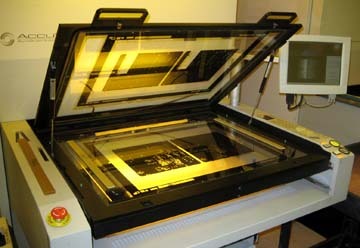 5-We can beat present pricing with our stream lined production and excellent quality control. 6-We are an owner active company (often he is the one who will take your request). 7-We run two shifts on a five day week and can change (and do change often) to meet production requests. 8-We provide hands on personal service. 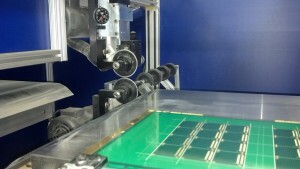 9-We can take production runs of 100 panels per day. 10-95% of our boards are delivered in ten days or less per customer requirements. 11-We book 80% of the circuit boards we quote(very,very competitive). 12-We invite you to send us an R.F.Q. and challenge us. 13- We have agreements with four offshore boards companies for production of very large runs. All boards are shipped to Circuits West for final inspection before being shipped to the customer. Circuits West stands behind and services the product 100%. Circuits West Inc. augments our customers’ ability to seize opportunities and quickly respond to their customers by shortening the product development cycle. Our customers enjoy a faster time to market via our customized pricing structure and our newly tooled factory. For over 30 years, Circuits West, Inc. has served a wide variety of industries with their Printed Circuit Board needs. CWI manufactures quality PCB’s in both multi-layer (up to 18 layer) and double-sided configurations. All PCB’s are manufactured to IPC-A-600F specification Class 2+ in the Colorado Front Range. “Quick Turn Service” is our specialty. We offer lead times of 24 hours to 3 days with a standard delivery in 10 days. The fact is, over one third of our product ships within 3 days of order receipt! Our capabilities for special materials include: Teflon, Pyralux, Rogers and Getech. We can manufacture with high Tg, low C.T.E., and low loss material. What sets Circuits West, Inc. apart is our service. We have a knowledgeable staff with over 80 years of combined experience. We are able to solve any particular or unusual fabrications, layups or design issues you, the customer may present. With our experienced team, we can provide the superior product you desire, on-time and with-in budget. We look forward to a mutually fulfilling and enduring partnership. Why do Business with Circuits West? 1. Best Value: CWI’s prices are extremely competitive and combined with their top notch quality and on-time delivery rate their offer is second to none. 2. Unparalleled Customer Service: I appreciate getting a friendly and knowledgeable person to answer all of my questions, whenever I call. 3. Fast and Reliable Delivery: We’ve needed to change our delivery schedule to accommodate customers’ requests and CWI has always been flexible. 4. Personal Touch: Although we can get quick quotes and order tracking information online, Angela remembers me when I call on the phone. 5. Excellent Quality: CWI always meets my requirements or they tell me upfront. 6. Every Customer/Order Appreciated: CWI makes us feel special no matter who calls and regardless of the size of our order. 7. Central Location: Our company has offices all around the country and CWI serves them all on their time zones. And for us here in Colorado’s Front Range we can save shipping charges and time by using self pick-up! 8. 100% Made in the U.S.A.: I like to support companies that keep jobs here for Americans. 9. Their Quality Guarantee: If I have any questions about my order Circuits West makes it right.